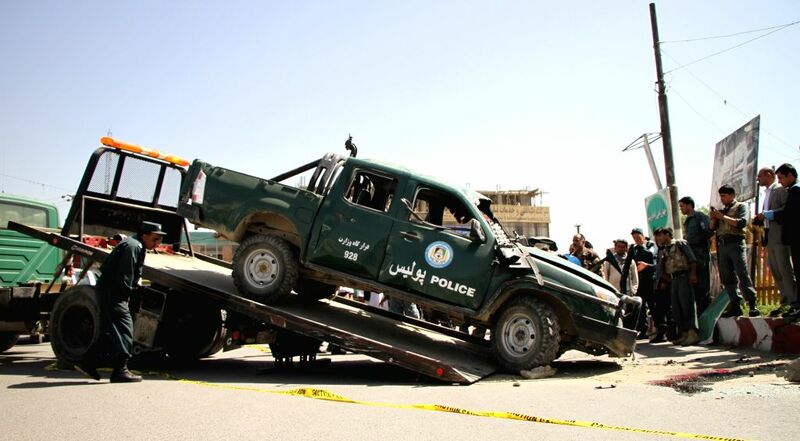 KABUL, July 10, 2014 - Afghan policemen remove a destroyed police vehicle from the site of blast in Kabul, Afghanistan, July 10, 2014. 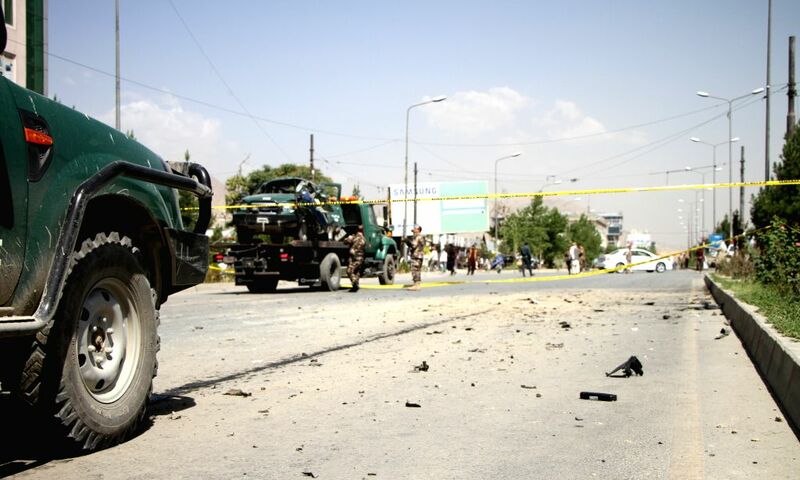 Earlier in the day, one civilian and one police were killed and four others wounded in two bomb attacks in Kabul and northern Balkh province. 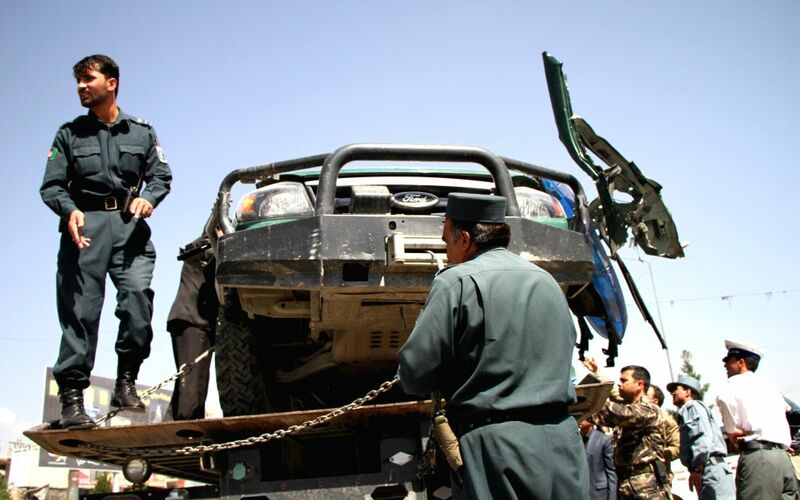 Afghan policemen inspect the site of blast in Kabul, Afghanistan, July 10, 2014.